iOS 7 may have only been in Beta less than a week, but it is already seeing a greater interest than the equivalent iOS 6 Beta. It’s not really surprising considering iOS 7 is the biggest change in iOS since the release of the iPhone in 2007. 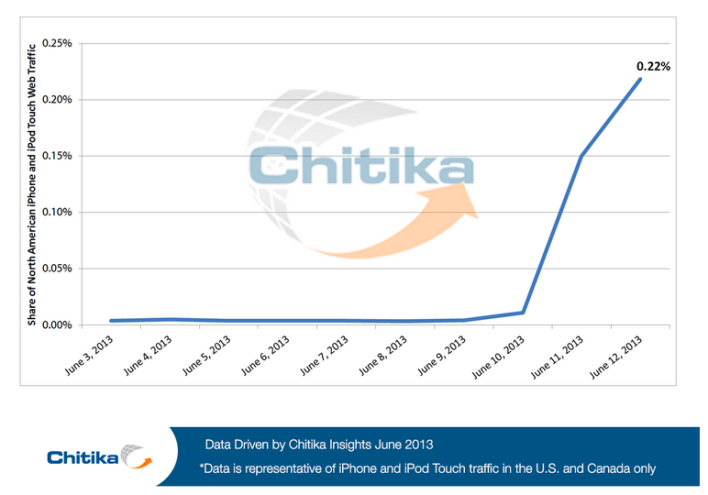 A graph from Chitika shows the interest in iOS 7 Beta, just to put it into perspective. These guys used impressions on their US and Canda ad network to determine the share of web traffic generated by devices running the new iOS 7 Beta. The ad company found that after only three days of being released, iOS 7 Beta is already running on 0.22 percent of mobile devices, and the numbers show a continuing incline. The stats obtained say that the 0.22 percent obtained just three days after the iOS 7 launch is twice as hight as the amount in the iOS 6 Beta more than a month after its release. The number of iOS 7 impressions has continued to increase from the 0.22% and that is considered the iOS 7 Beta has not even been released on the iPad yet, whereas in comparison the 0.11% of iOS 6 included the iPad versions. Considering there are around 600 million devices in the iWorld, 0.22 percent represents a sizeable chunk of developer interest. These are those that have paid for access to the iOS developer SDK, so gives an indication into just how much developer support Apple has for its applications. iOS 7 has generated quite a bit of interest given its significant redesign so it’s not surprising that everyone would like to see what their Apps looks like with the redesign and what they need to do to tie into the new Apple colour scheme. Are the stats found surprising to you? Are you one of the 0.22% developers running iOS 7 Beta? 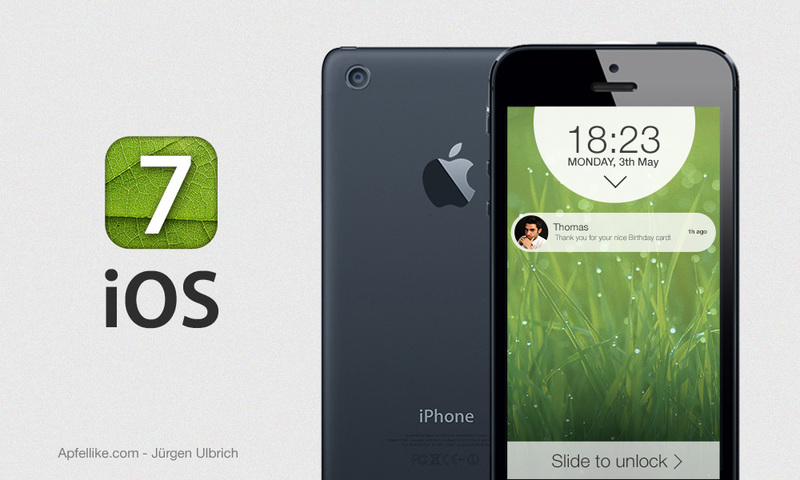 Let us know in the comments section below, what do you think of iOS 7?